Just to prove that the Lakeland Railway is not a completely steam-free zone, here I present a sequence of photographs taken of the three steam locomotives currently fitted with sound files and which make very occasional forays onto the layout. 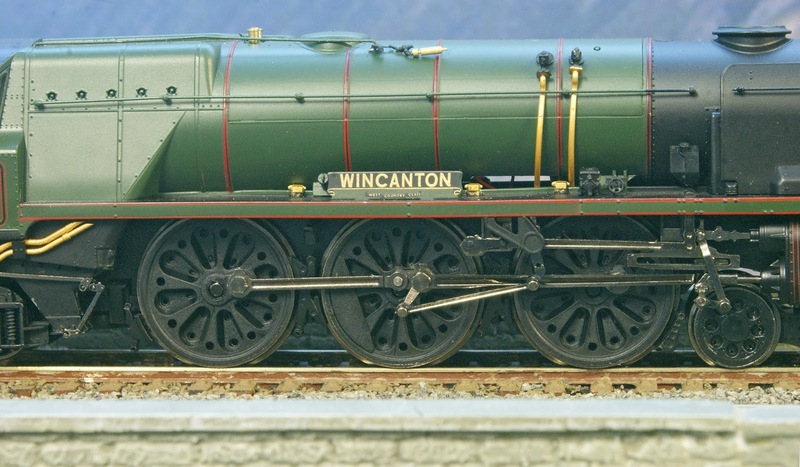 The first two photos feature Hornby's highly detailed model of the Rebuilt West Country Class 4-6-2 locomotive 'Wincanton', which is a recent acquisition. Originally she had Hornby's factory-fitted sound files but we have had those changed to Olivias sound, with firebox glow, working head lamps and an engine crew also fitted. 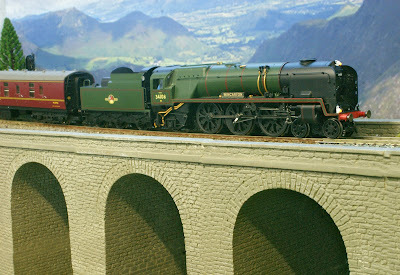 Here she is seen crossing Niggly Bottom viaduct at the head of the Pines Express. 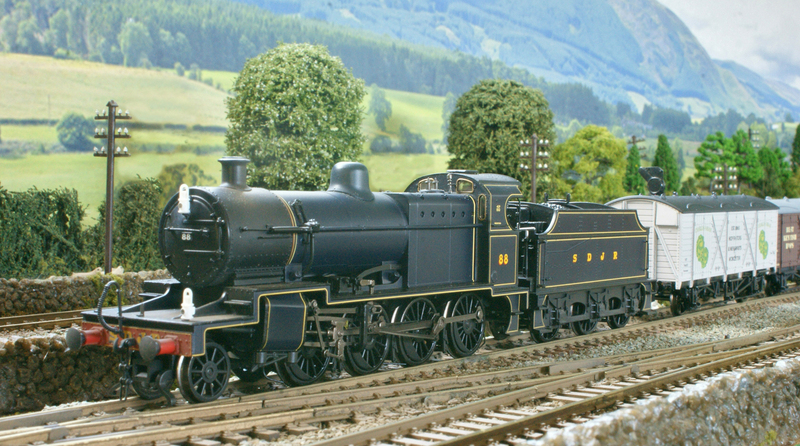 Next up is the Bachmann model of an S&D 7F 2-8-0, Nº 88 (53808) in S&D Prussian Blue. She has a generic Howes sound file fitted plus non-working headlamps but no loco crew, as yet. 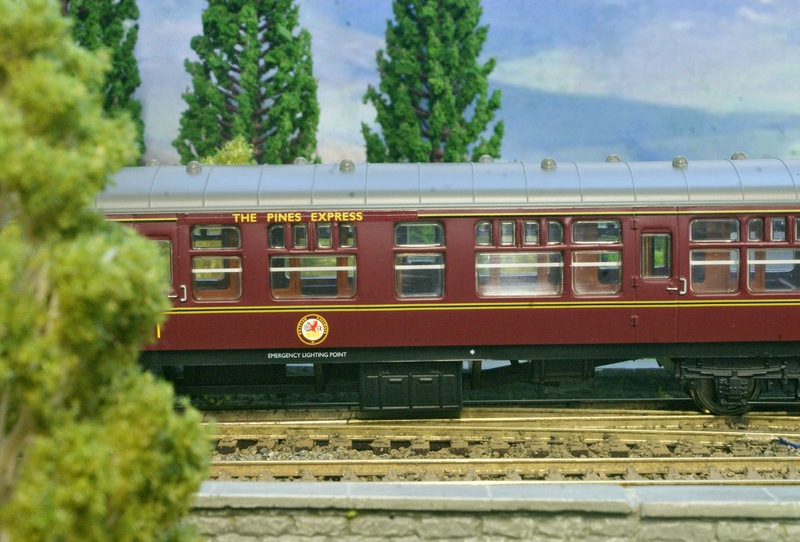 In this photograph, the 7F is hauling a rake of Dapol Limited Edition wagons that we have collected during recent months. 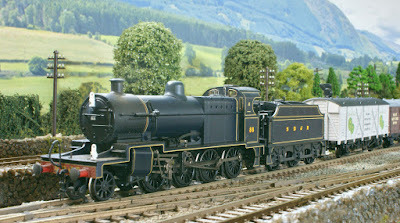 Finally, we see a Bachmann 4MT Nº 80120 in heavily weathered condition in charge of a train of coal wagons. This image was actually captured from a video so is not quite as crisp as the other photographs. She is also fitted with an Olivias sound decoder and, like Wincanton, has working head lamps and an engine crew fitted.